Saturday Night Live (SNL) cracked jokes about Jussie (Trifling Jussie) Smollett and all the trifling things he’s done like committing a hate crime against himself, writing a check that his behind literally couldn’t cash, and continuing to lie about it all just so he could raise his low-six figure salary to a mid-six figure salary. "Just give Jussie another chance," Oh pleaded. "Jussie Smollett was a victim," Oh said. 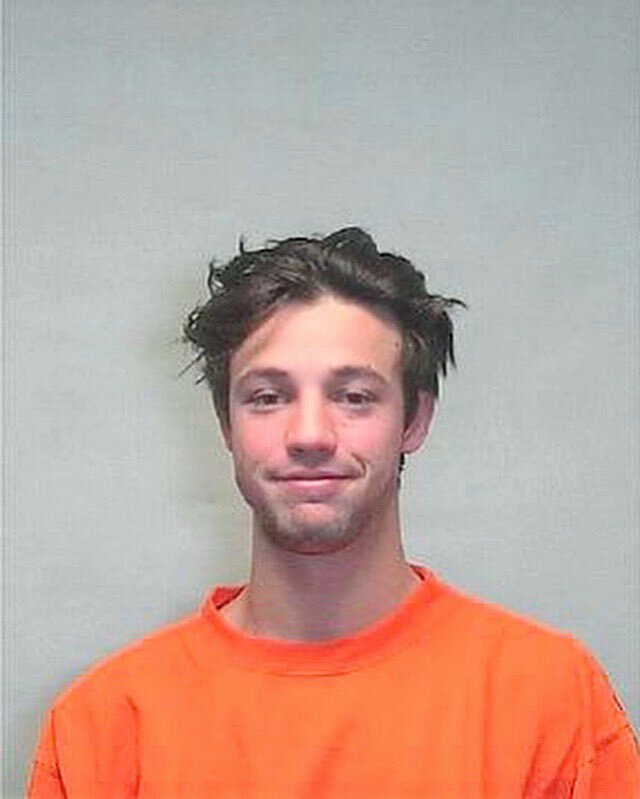 Oh turned to Kennan Thompson, who played Lee Daniels, telling him that she’s quite sure lil’ Trifling Jussie has a pretty good excuse for why he’s so late and that it has nothing to do with his trifling ways. Lil’ Trifling Jussie had put Oh and everybody around the table through. The kidnapping of himself, the lying about the kidnapping of himself, and being late were just too much for everybody to handle. Plus, that $3500 lil’ Trifling Jussie paid those Nigerians was probably part of the money he should’ve paid his manager. It was just too much to deal with. 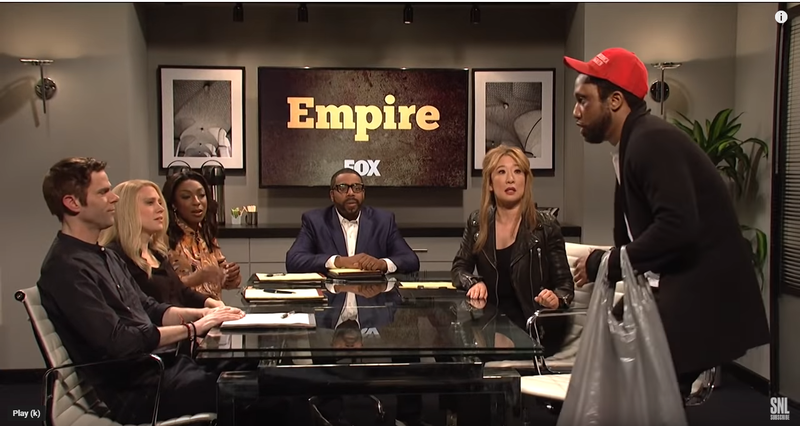 As everybody is sitting around the table knowing they are just wasting valuable time waiting on lil’ Trifling Jussie, he walked in looking like an extra for a Quentin Tarantino movie. Lil’ Trifling Jussie walked in with a black jacket, white t-shirt, black pants, tennis shoes, a red Make America Great Again (MAGA) baseball cap on his head, and what he said were, “a bag of clues,” as to why he’s two hours late. “I’m so sorry I’m late. Guys, you’re not going to believe what just happened to me,” is what he said. "I got attacked, again," Redd as Smollett claimed. "Oh, ok good! So you believe me?" Redd as Smollett responded. "No! What is wrong with you man?!" Day asked. “What is wrong with” lil’ Trifling Jussie is that he’s a trifling dumb nut who thinks we’re all trifling dumb nuts who actually believe that somebody got up and went out to attack him with nylon rope and bleach in -42 degree temperature in Chicago where it was so cold that even the rats and roaches didn’t come out of their holes in the ghettos. And to top it off, lil’ Trifling Jussie’s iPhone was still in his pocket and his Subway sandwich was still intact. Those are two things criminals would’ve at least taken. They would’ve sold the iPhone and ate the sandwich. But they didn’t do none of the above. All they did, according to lil’ Trifling Jussie, was attack him and say, “It’s MAGA country,” and then run off into the freezing cold to Chicago O’Hara airport where they boarded a plane going to Nigeria. I don’t know about y’all but I don’t know many MAGA folks leaving lily white America to go to pitch black Nigeria. It just ain’t happenin’ cap’ain. Lil’ Trifling Jussie, though, thinks we’re all fools. That’s why he let fly out of his mouth that he was able to survive the alleged hate crime attack committed by two Nigerian MAGA fans wearing whiteface because he’s “the gay 2 Pac” and “the gay Mike Tyson” wrapped up all in one. A lil’ trifling thug he is, but not for the reasons he thinks. Lil’ Trifling Jussie is the type of thug who brings his own bag of clues like a “K, another K, three K’s” to the police station as evidence of the hate crime he committed against himself. "…the Ku Klux Klan, Jussie," said Day. "Really, I thought that was a myth," Redd as Smollett said. "Jussie," Thompson as Daniels said as if to say, "Just stop, man. "No, no, no they said I can never call again. It’s part of the deal,"
Redd as Smollett let everybody know. Thompson as Daniels had had it with lil’ Trifling Jussie. There would be no more deals. There would be no increase of lil’ Trifling Jussie’s six-figure salary to a mid-six figure salary. Daniels," Redd as Smollett claimed. "No, I’m firing you," Oh said. Jussie picked up his bag of “clues” went out the door and then came back with another clue, a neck brace around his neck. I have a feeling that even “home” doesn’t want lil’ Trifling Jussie!